So, our dealings with Mobile, Alabama haven’t ended. We got our credit card statement last month and the hotel we stayed in over charged us for our one night stay. Instead of charging us around $130 they charged us over $300. Jennifer called a couple of weeks ago and spoke to the manager of the hotel. We thought everything had been taken care of and we would be getting a credit back on our credit card. Several weeks later and no credit. So, Jennifer tried another round of calls trying to get a hold of the manager. No dice. The furthest she could get was leaving a voice message, which he didn’t return. When Jennifer told the receptionist at the hotel that she was just going to have to go through our credit card company, she said “sounds like a good idea”. Fine. You can not only guarantee we will not be staying in your hotel, but in any hotel in Mobile, Alabama. It’s been an interesting week in the French household. First, Isabelle has had chicken pox all week. She must have picked it up from the church nursery since that’s the only place she goes besides home. We started noticing red spots appear on her just over a week ago. At first we thought it was bite marks from a bug. We washed all of her bed linens, but once we took her to the doctor, it was confirmed: chicken pox. Fortunately Abby and Emily have been immunized against it. Poor Isabelle really didn’t know what was wrong. The worst part was a fever that she had a few days ago. On the bright side, she doesn’t have the hand/eye coordination in order to scratch, so it didn’t really spread that much. It’s pretty much over now. She has a few scabs here and there. 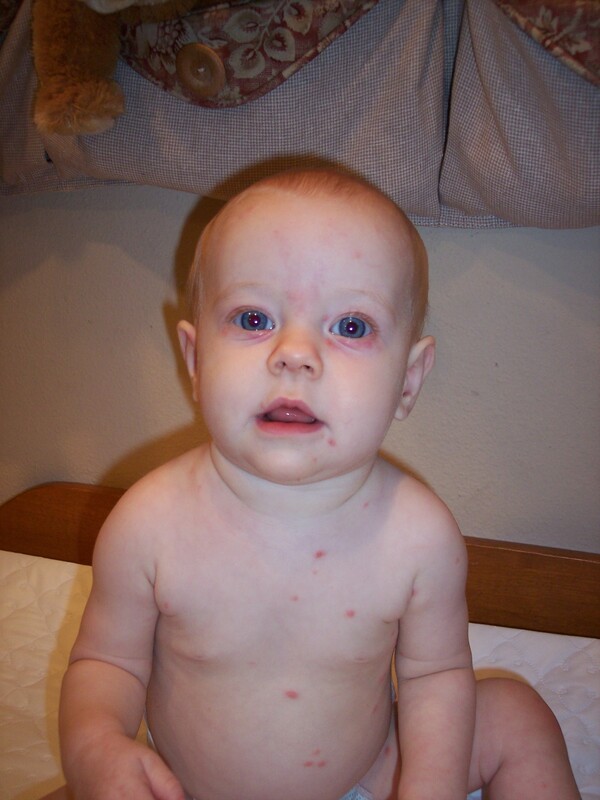 Me and Abby gave her the name “Chicken Pox Baby”. 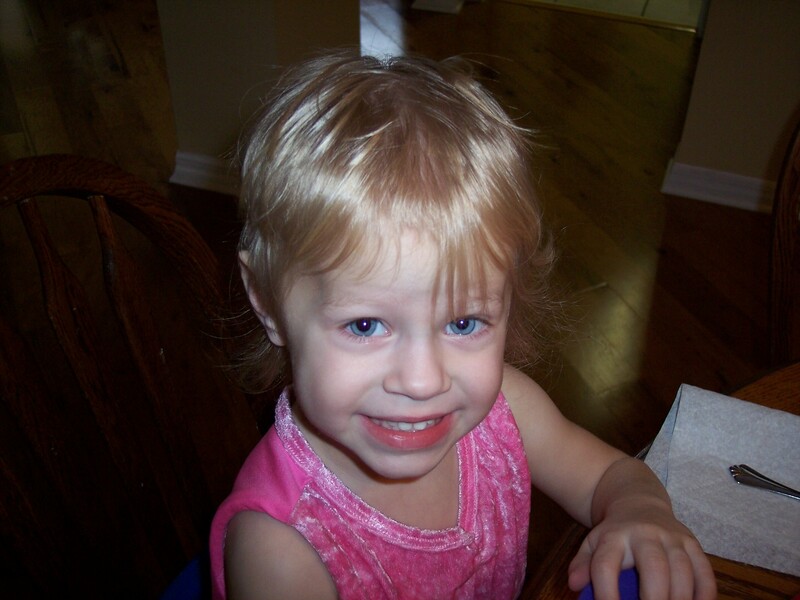 On Friday, Emily was discovered with scissors in one hand and a clump of her own hair in the other. She apparently decided it was time for her to have a haircut. She pretty much clipped away all of her hair on one side. We took her to the salon yesterday in order for them to clean it up. In order to even it out they pretty much had to cut her hair short. Jennifer thinks she looks like a boy, but I think it’s very stylish. One of the neighbors said she looked like a blonde Winona Ryder. Everyone has been telling me how much they enjoyed my Rose Bowl coverage. I’m sorry it’s taken me so long to get back into the habit of writing on Frenchville. Things are starting to settle down, so hopefully I can get back into the routine. 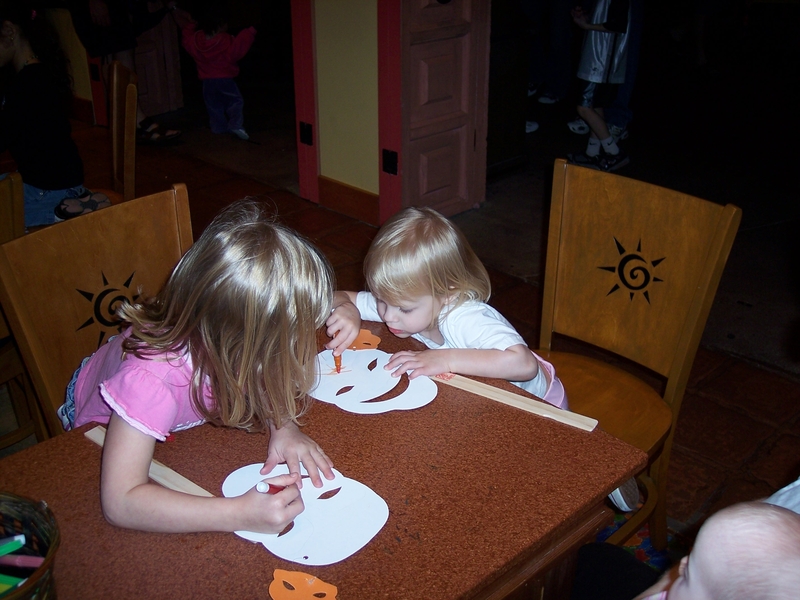 One of the first things that happened once we got back was Emily’s 3rd birthday party. 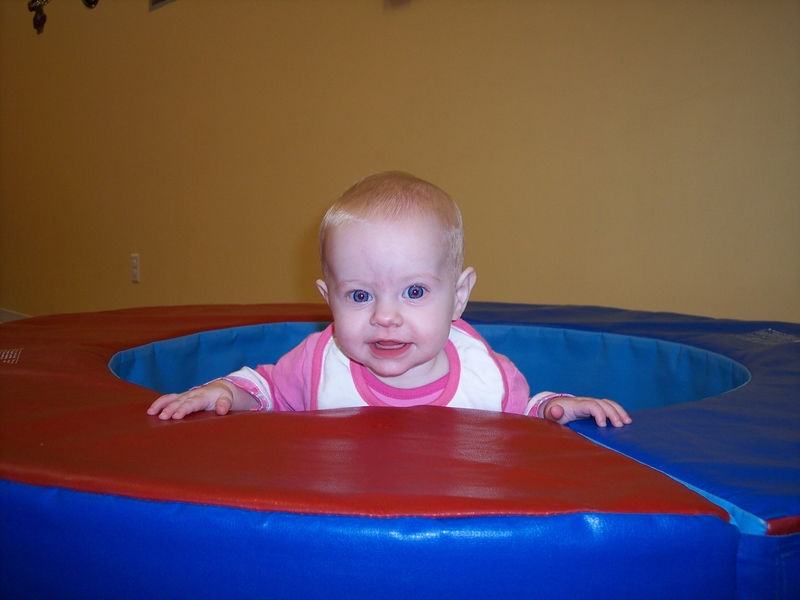 We rented out The Little Gym and we were really worried if anyone was going to show up. We ended up inviting some of Abby’s friends in order to round out the group. We only had one out of Emily’s six classmates show up. 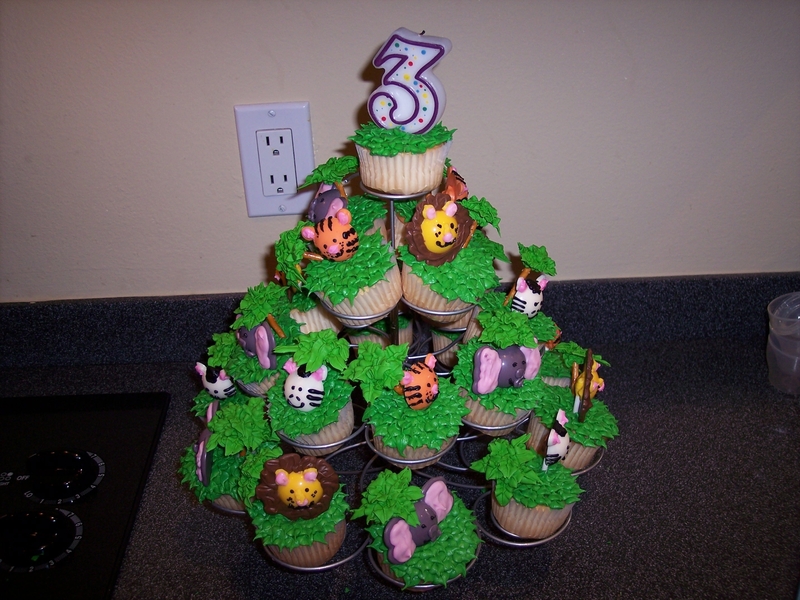 For the cake, Jennifer made a new creation: a group of cup cakes which had candy lions, zebras, tigers, and elephants. They ran around the Gym for two hours and had great fun. 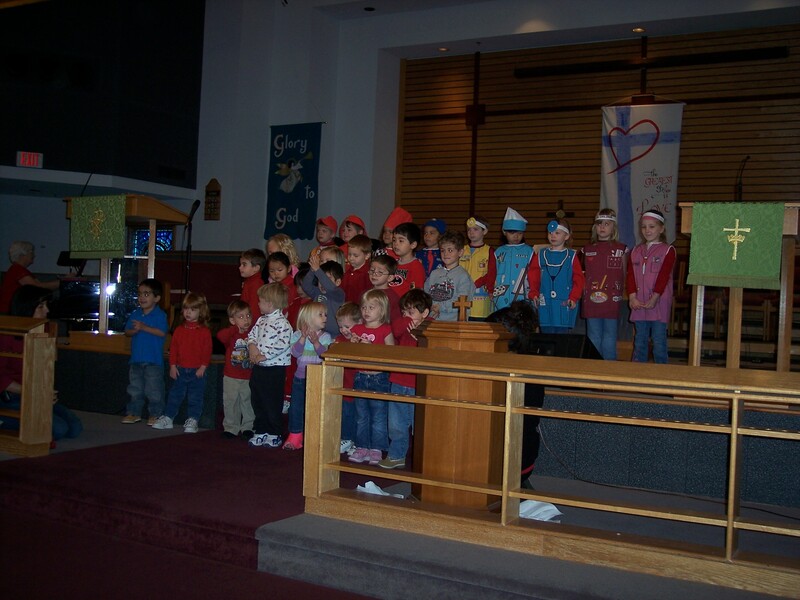 It has been though planning Emily’s parties since they are so close to Christmas. This year was no different. At work I moved on to a new product tentatively entitled NFL Head Coach. It’s a new NFL franchise we are creating at Tiburon that is a strategy game where you attempt to build and manage a football team. I’ve come in to manage the Gameplay and Online aspects of the game. 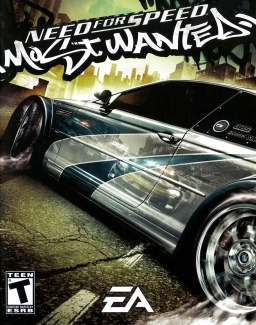 The game will be available in stores spring 2006 for the Playstation 2, Xbox and PC. A couple of weeks ago Tiburon paid for everyone’s family to go to Disney World’s Epcot. The girls had fun going to a park that we don’t normally go to. (We usually go to Magic Kingdom.) We went from “country” to “country” decorating a mask at each one. I finally got to ride Mission: Space, which is only at Epcot. It’s a simulator ride which really makes it feel like you are taking off in a space shuttle. It was pretty cool. However, I was feeling a little dizzy when I got off. It spins you around like you are in a centrifuge, but you can’t tell it since you are locked into a simulator room. A week ago last Wednesday Electronic Arts laid off 5% of their work force. It was a cost cutting move that typically happens during what we call a “transition year” (the time between generations of hardware). 35 people were laid off from Tiburon. It was sad because this was the first time that we had to go through this. Last transition (1999-2000) the lay offs happened at other studios because Tiburon was so small. Now that we are approaching 600 employees, it was time to downsize our work force. Although I wasn’t personal friends with some of the people that got laid off, I knew some of them and, like I said, it was sad to see them go. This weekend I took the plunge and had laser eye surgery. I went in Friday morning. It was really easy there wasn’t much pain at all. I could tell a difference right after the surgery. I went home and slept for several hours and I could see much better. It’s quite amazing. My vision isn’t 100%, but it’s getting better every day. There were two strange events that went on. First, a very tall lanky guy comes up to you and says in a real calm voice, “Dr. Filutowski is going to be your surgeon today. He requests that everyone have a massage to relax you for your surgery. Would you care for a massage?” That was weird, but a guy who works on NFL Head Coach who got the surgery two weeks ago pre-warned me of the event. 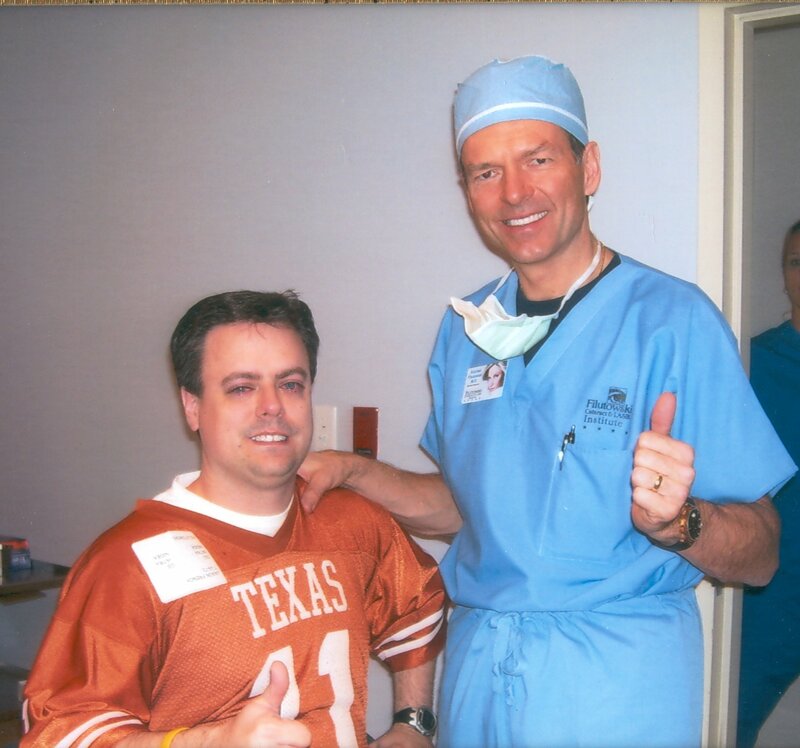 The other strange thing is that immediately after the surgery, Dr. Filutowski has you give a “thumbs up” and they take your picture with him. It’s framed and given to you when you leave. Besides the two strange events, I’ve been really happy with my surgery so far. I was amazed how easy it was. Finally, Isabelle has made a lot of progress over the month. During Christmas vacation she was sitting up on her own. Now she crawls all over the house and will stand up against any kind of furniture that will let her. At first she would stand up and then she couldn’t get down, but now she’s fully mastered getting up and down. This is the first time we’ve had a baby so young that is mobile in a big area. When Abby and Emily were mobile we were living in apartments and we could section off the areas of the apartment. Isabelle is going from room to room getting in trouble. Abby has been a great help watching over her and moving her from room to room when necessary. I needed to have another game besides Madden for my new console. Since I get console games for $20 at our Company Store, I picked up Need for Speed: Most Wanted. During the year we got glances as the other teams at EA were working on their Next Gen titles. I thought this one always looked the best and was in the great shape throughout the year.